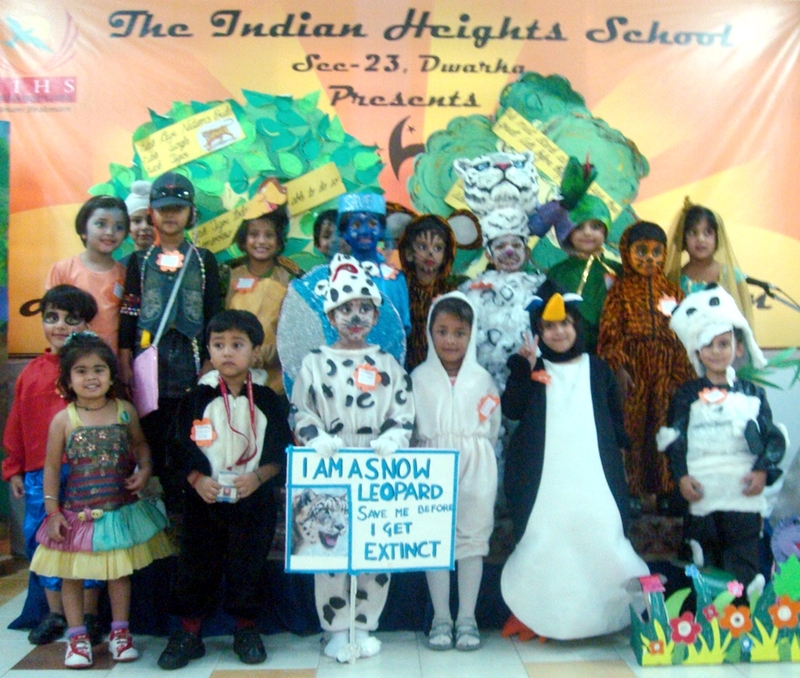 The Indian Heights School, Sector 23, Dwarka hosted a two days Inter School Competition, Euphony, 2011, on 25th & 26th August, 2011. The campus was filled with vibrant energy as over 27 schools participated in the gala event. The program started with the Lighting of the Lamp followed by Ganesh Vandana. The students of the host school presented a scintillating dance performance. The Principal of the School, Ms Archana Narain, welcomed the Judges, Teachers and all the participating students. In her welcome speech she encouraged all the participating students to do their best. The Judges to grace the occasion were Ms T. Sornam , Principal of Brats & Cuties, Ms Urmila Vishel, Head Mistress, Just Kidzz, Ms Rajni, Chief Montessori Trainer , Ms Tani Chopra, owner of Silver Oak School, Mr Pushkar Anand, Mr Piyush Gupta, Mr Anupam and Ms Pooja from Swar Sadhana School of Music. The first day was the very eventful day and in the Master Splash category – Modern Convent School bagged the first prize the second prize was bagged by AVE Maria School and the third prize was bagged by Paramount School. In the Deck ‘n’ Depict category – Venkateshwar International School bagged the first prize and the second prize was bagged by Bal Bharti School and the third prize was bagged by Vandana International. In the Rock ‘n’Roll category – Venkateshwar International School bagged the first prize and the second prize was bagged by AVE Maria School and the third prize was shared by Vandana International School and Sri Venkateshwar School. In the Terza Rima- English Recitation category Modern Convent School bagged the first prize and the second prize was bagged by Indraprastha School and the third prize was bagged by OPG World School. NDTV Good Times announces reality show FOODISTAN!